Lucknow, February 9: Bahujan Samajwadi Party (BSP) supremo Mayawati, the Supreme Court on Friday, in oral observations, said the former chief minister of Uttar Pradesh should reimburse the public money spent on erecting statues of herself and the party symbol, the elephant, in public places and in reverse Mayawati says that Media and BJP leaders please stop kite flying. A bench led by Chief Justice of India (CJI) Ranjan Gogoi said Mayawati to reimburse to the exchequer the public money you have spent on the elephants. In reverse, Mayawati said, “Marvellous Sthals/Memorials/Parks etc. built to honour hitherto ignored great Sants, Gurus and great men born in deprived and oppressed Dalit and OBCs are new grand identity and tourist attraction of Uttar Pradesh which gives regular income to the government. The remarks were oral observations directed at senior advocate Rakesh Khanna, who was representing the leader in 10-year-old public interest litigation (PIL) that alleged misuse of public money for installing the statues. The court asked Khanna to convey its views to Mayawati and fixed April 2 to hear the matter for its final disposal. 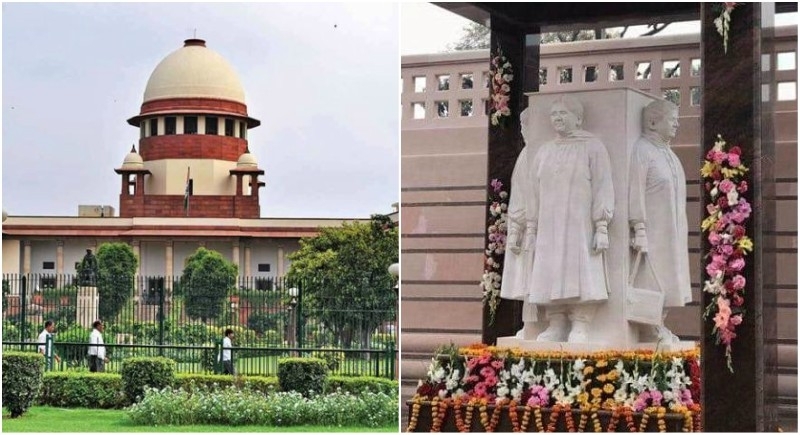 The SC was hearing advocate Ravi Kant’s PIL alleging misuse of crores of rupees of public money spent for installing the statues, including in a park in Noida, on the outskirts of Delhi. Filed in 2009, the PIL sought a restraint order against the installations, which Kant said was being done at the cost of the state exchequer. He asked for a Central Bureau of Investigation (CBI) probe and also a directive to remove the statues. Public money was spent to “falsely glorify” the then chief minister, Kant’s PIL alleged. Not only was it against the state policy, it even violated the Constitution, he said. The statues were installed at a cost of Rs 52.20 crore at public places.